Nobody wants a weak and inefficient power tool. When there’s work to be done, we turn to our cordless tools to make the workload lighter and easier. It’s as true for string trimmers as it is for any other type of power equipment. A cordless string trimmer is supposed to make yard work fast and easy, without the fumes of traditional gas-powered trimmers. Of course we want it to do as much work as possible as quickly as it can! So, what’s the best way to determine how much work a battery-powered string trimmer can do? Some people mistakenly think that voltage is the most important measurement when it comes to assessing a cordless tool’s power. 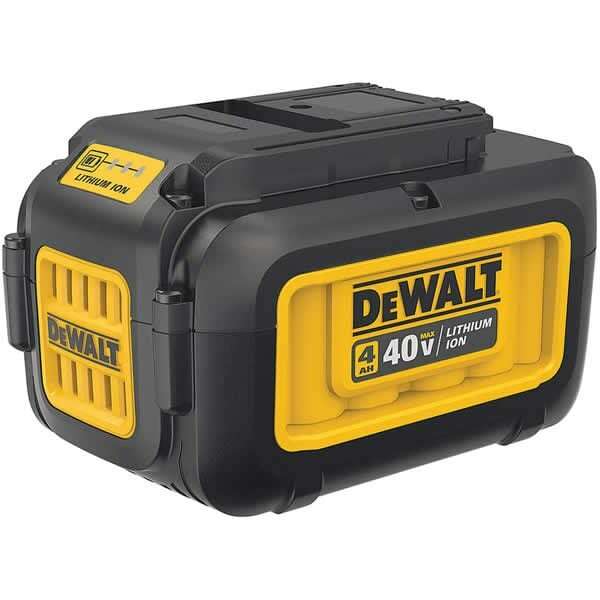 However, there’s another measurement – the battery’s amp-hours – that can be just as important to think about when you’re shopping for a cordless trimmer. Inside every cordless string trimmer is an electric motor that’s powered by a battery. The motor takes the electricity that the battery produces and turns it into mechanical energy by powering the trimmer’s drive mechanism that turns its head, and ultimately, its string. You don’t need to know all the parts of a cordless trimmer to understand how important good circuitry and a good battery are. One of the qualities that people often use to judge a “good” battery is its voltage, but that's only part of the power equation. 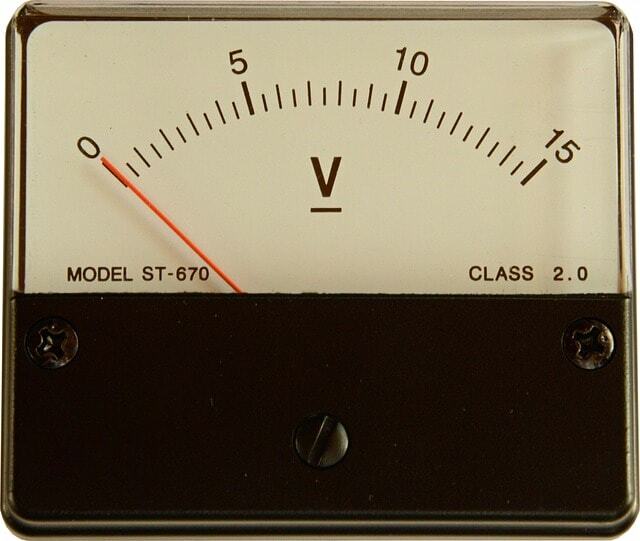 Voltage measures a current's potential energy. It’s a number that describes the force that pushes electricity from one part of a circuit toward another. The higher the voltage, the more force at work. Together, voltage and another number that describes the current (the amperage, which we'll discuss later) measure power. It’s easy to understand why a high-voltage string trimmer (or any other tool) would appeal to people. Who doesn’t want equipment that uses more force? However, there’s an important point to consider about voltage: the voltage of a battery-powered tool can vary. Your cordless string trimmer doesn’t always operate at the voltage listed for each piece of equipment. It’s not a case of deception. Think about the last time you used a battery-operated tool when the battery was low on power. Did you notice that the motor seemed to run a little more slowly or a little more quietly? When a battery has a low charge, the electric current can’t get pushed out with as much force. It’s like draining a tank of water: when the tank is full, the water is more likely to flow from it in a high-pressure stream. As the tank drains, the water pressure behind the stream decreases. That doesn’t mean that you should ignore voltage. Why? Because every electric motor experiences some inefficiency. Not all the electrical energy from the battery gets converted into mechanical energy in the motor. Some of it is lost as heat because of friction, for example. Higher voltage can make up for inefficiency. 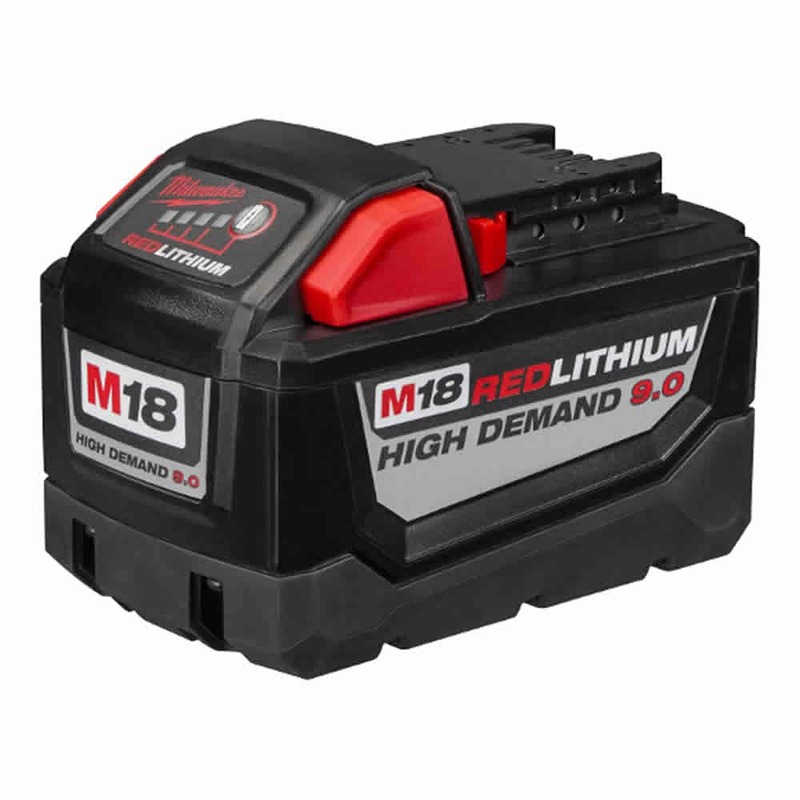 It might not be consistent, but the more power a battery is capable of providing, the more power the motor has available to use, even if some of it gets lost along the way. However, if you prefer a more consistent measurement to help you understand how much work you’ll be able to do with your cordless trimmer, you might find it more helpful to think about amp-hours instead. 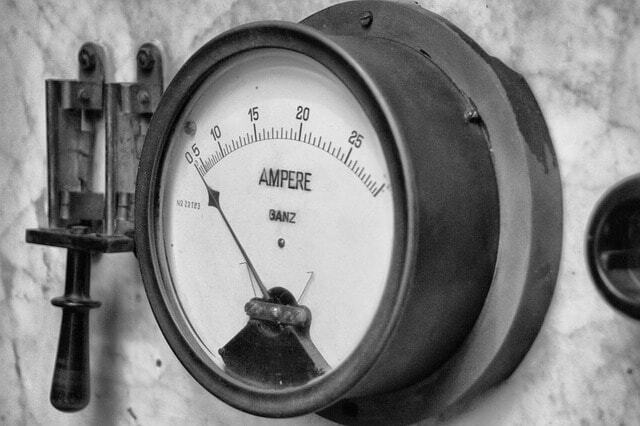 To understand what amp-hours are and why they’re so important, it’s best to start with the term at the heart of the idea: the amperes, or amps. Think back to our water tank analogy. If voltage is like water pressure, then amperage would be like the amount of water flowing through the drainage spout. Voltage measures the force pushing a battery’s electric current through the wires. In contrast, amperage measures the amount of current a battery can provide. The amp-hour rating of a cordless tool might sound as if it would be more complicated, but it’s actually a measurement designed to help people better understand the battery’s capacity. Amp-hours (Ah) tell you how long a battery can offer a certain amount of electrical current. So, a 1.0 Ah battery can produce one amp of current for one hour. A 2.0 Ah battery can provide two amps of current for one hour. There’s also some wiggle room with the math. In theory, a 1.0 Ah battery could also provide two amps of current for a half-hour – twice the current for half the time. A 2.0 Ah battery could provide one amp of current for two hours – half the current for twice the time. The point is that the amp-hour rating will give you an idea of your cordless trimmer’s runtime. It doesn’t measure the force turning your string trimmer’s head; it gives you an idea of how long your trimmer will run on one charge. Ultimately, that might provide a more accurate idea of how much work you can do with your trimmer. A trimmer with a low voltage rating but a high amp-hour rating (and an efficiently designed brushless motor) can provide consistent performance that, in some cases, might even outperform some high-voltage models. It’s why some manufacturers promote their string trimmers’ amp-hour ratings over voltage ratings. When it comes to describing how powerful a tool is, there isn’t one factor or measurement that provides a complete picture. It helps to understand what different terms like “voltage” and “amp-hours” measure so that you can compare different tools and see which one first your needs. When you know how to get the most out of the power that your cordless string trimmer provides, that’s efficiency. 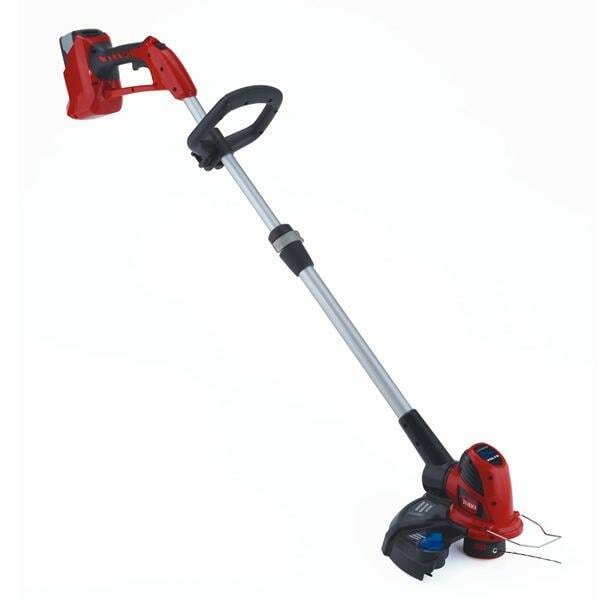 Volts vs. Amp-Hours.. Our Power Equipment Direct how-to library can help you learn about How to Measure Cordless String Trimmer Power, Straight Shaft vs Curved Shaft String Trimmers and 2-Stroke vs 4-Stroke String Trimmers.